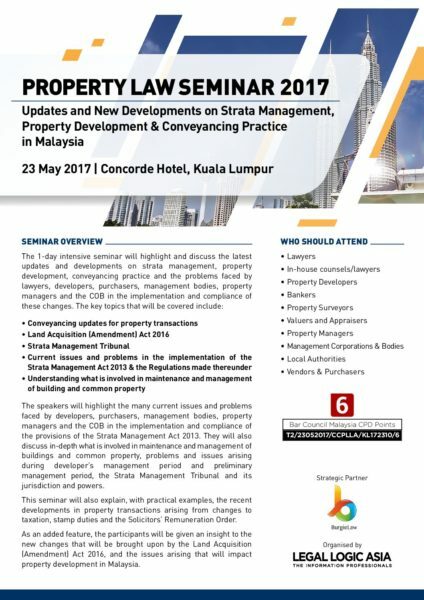 BurgieLaw is the strategic partner for the 1-day intensive seminar which will highlight and discuss the latest updates and developments on strata management, property development, conveyancing practice and the problems faced by lawyers, developers, purchasers, management bodies, property managers and the COB in the implementation and compliance of these changes. How to register your seat? Andrew Wong, Founder at Andrew Wong & Co. Receive our event information straight in your email inbox.